AT&T Internet plans provide the security, protection, and amazing speed you need, along with built-in wireless home networking. 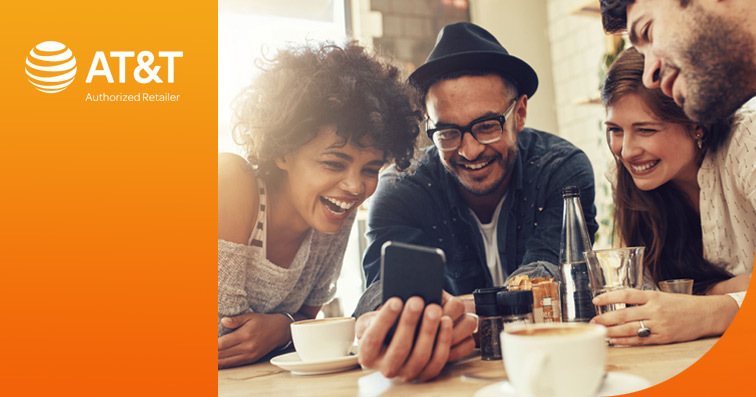 Whether there is one internet user in your home or six, AT&T has the right plan for you! Geographic and service restrictions apply to AT&T Internet services. Call or go to www.att.com to see if you qualify. $50 Internet Offer: Price for Internet 75M plan for new residential customers when bundled with another qualifying AT&T service (TV/AT&T Phone/Wireless). Pricing includes Wi-Fi Gateway. Must maintain a qualifying bundle to receive advertised pricing. Prorated ETF ($180) applies if Internet is disconnected before end of 12 months. Up to $99 installation fee applies. Credit restrictions apply. Pricing subject to change. Geographic and service restrictions apply to AT&T Internet services. Call or go to www.att.com to see if you qualify. $30 Internet Offer: Price for Internet plans (768K-50M) for new residential customers when bundled with another qualifying AT&T service (TV/AT&T Phone/Wireless). Pricing includes Wi-Fi Gateway. Must maintain a qualifying bundle to receive advertised pricing. Prorated ETF (180) applies if Internet is disconnected before end of 12 months. Up to $99 installation fee applies. Credit restrictions apply. Pricing subject to change. $40 Internet Offer: Price for Internet plans (768K-50M) after bill credit for new residential customers. Pricing includes Wi-Fi Gateway. After 12 mos., the rate increases to $50/mo unless canceled by customer prior to end of 12 months. Prorated ETF ($180) applies if Internet is disconnected before end of 12 months. Up to a $99 installation fee applies. Credit restrictions apply. Pricing subject to change. $50 Internet Offer: Price for Internet 75M plan for new residential customers when bundled with another qualifying AT&T service (TV/AT&T Phone/Wireless). Pricing includes Wi-Fi Gateway. Must maintain a qualifying bundle to receive advertised pricing. Prorated ETF ($180) applies if Internet is disconnected before end of 12 months. Up to $99 installation fee applies. Credit restrictions apply. Pricing subject to change. $60 Internet Offer: Price for Internet 75M plan after bill credit for new residential customers. Pricing includes Wi-Fi Gateway. After 12 mos., the rate increases to $70/mo unless canceled by customer prior to end of 12 months. Prorated ETF ($180) applies if Internet is disconnected before end of 12 months. Up to a $99 installation fee applies. Credit restrictions apply. Pricing subject to change. † Unlimited data allowance may also be purchased separately for an add’l $30/mo., or maintain a bundle of TV & Internet on a combined bill and receive Unlimited Internet data ($30 value) at no add’l charge. For more info, go to www.att.com/internet-usage. INTERNET SVC: AT&T Internet, formerly known as AT&T U-verse, is high speed internet provided over an advanced digital network. Internet speed claims represent maximum network service capability speeds. Actual customer speeds may vary and are not guaranteed. Actual speeds vary based on factors including site traffic, content provider server capacity, internal network management factors, and device capabilities and the use of other AT&T services. For more information, go to att.com/speed101. Offers may not be combined with other promotional offers on the same services and may be modified or discontinued at any time without notice. Other conditions apply to all offers.